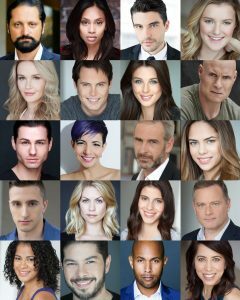 AMP Talent Group Inc. is recognized as a leading talent management agency for actors and models in Toronto, with over 13 years in the entertainment business and a broad range of experience when it comes to artist representation, talent bookings, contracts, talent services and branding. AMP Talent represents children, teens and adults through seniors with a wide spectrum of talent ranging from male and female actors, voice artists, broadcasters, stand up comedians, broadcast television hosts, models to children and versatile character actors. AMP Talent Group is committed to delivering the best talent to the entertainment industry. Among our core values is to ensure the integrity, honour and professionalism of our clients and AMP Talent Group.